Many people love playing Microgaming online slots (you can count us among them). So, when we discovered the Microgaming Tarzan slot we knew we had to give it a try. From the moment the game starts to load, you know you won’t be disappointed. 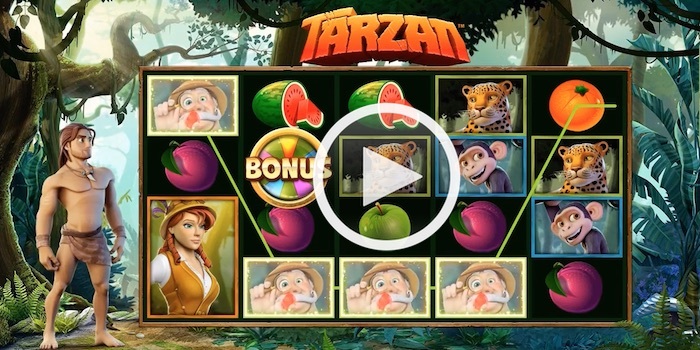 The Tarzan slot is a 5 x 4 online slot featuring one of the most famous characters in fiction. Here, he appears in his loincloth to the left of the reels, and has been designed in perfect 3D. Even if you’ve never read the Tarzan stories before, you’ll be more than familiar with the characters and presentation of the game. The slot comes across as a modern yet familiar take on the story of Tarzan too. He doesn’t look like the Tarzan we remember from early TV shows featuring the character, but that’s not a bad thing! With Microgaming behind the wheel, you’d expect an impressive set of graphics to steer the game. You won’t be disappointed either. Every now and then, Tarzan catches a butterfly on his hand that eventually flies away. There is depth to the background too, and the design of the reels also looks good. The screen has also been designed to look minimal. The three white horizontal lines to the left of the screen reveal the settings and paytable, which you can select from that menu. Your bet amount is chosen on the right, and if you click on the amount you can move the wheel to select a higher or lower bet if you wish. Jane also appears as one of the symbols in the game, along with various animals Tarzan encounters. Various fruits, including apples and melons, are also presented. The paytable reveals the values of all these, with Tarzan bringing in 500 coins for five on a line. The four assorted fruits are the lower-valued symbols. Additionally, some of the symbols can take up two spaces on a single reel. This has no bearing on what you could win with them, but it does change up the appearance and makes the game look more appealing. The Tarzan slot uses the Tarzan logo as the wild symbol. Five of these rewards you with 800 coins if they all appear on the same line. They can also appear as stacked in the main game and the free spins feature. Let’s look at the two that aren’t self-explanatory. 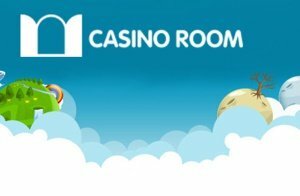 Firstly, we have the free spins feature. This awards you with 12 free spins, but that isn’t all you get. The free spins come with Rolling Reels and Growing Wilds. The Rolling Reels can bring more and more wins one after the other. Never a bad thing, would you agree? The Growing Wilds appear in stacks and you will get one extra wild appearing with each spin, too. You can end up with as many as 15 wilds on the reels by the time you finish the free spins feature. The potential to rack up win after win here is significant. The other possibility, other than the jackpot and cash prize opportunities, is to win access to the Pick-a-Potamus feature. We love that name! You’ll see several hippos swimming around and the idea is to pick one. You will either get a cash prize or a ‘pop’. Try and avoid the ‘pop’ for as long as you can because that ends the feature. 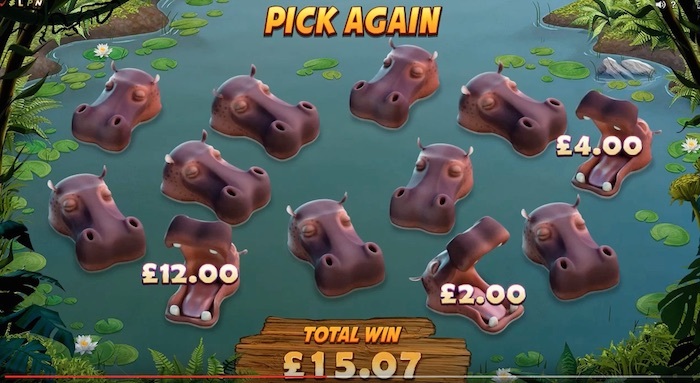 You can choose up to 12 hippos in a row for multiple cash prizes if you’re lucky, so choose wisely. You can play Microgaming’s Tarzan from just 40p per spin, laying down 1p on each line as you go. The top bet is £40, so there is enough variety here to appeal to most players. The top prize is 1,000x your total bet in the bonus wheel feature. Meanwhile, five wilds on a line in the main game will deliver a 800-coin prize. The game has a reasonably-good RTP as well, reaching 96.48%, as per several sources. New slot games must work hard to grab our attention. The Tarzan slot does grab the attention and it holds it well, thanks to the variety of additional features offered alongside the basic game. We think it will do well. It has enough bonus features to make hitting the bonus round worth striving for. Yes, you could get a cash prize but the chance to unlock the free spins or the Pick-a-Potamus round is good too. Give it a try today – even if you’re not a fan of Tarzan. Microgaming has done an excellent job with the game as you’ll see.